Imagine launching into the action and adventure of the Star Wars galaxy! 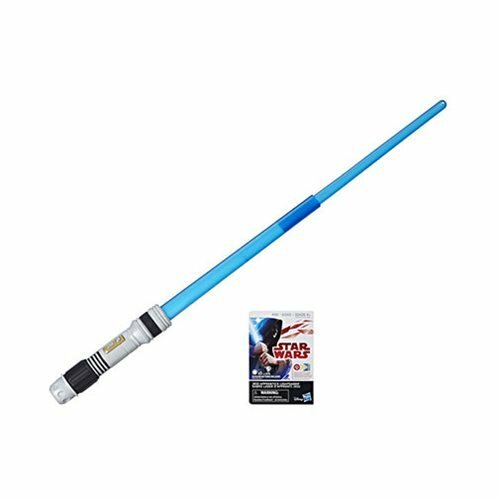 Discover starships and vehicles, and get immersed in exciting stories of good versus evil against a backdrop of a universe populated by heroes, villains, droids, and space creatures with the Star Wars Electronic Jedi Apprentice Lightsaber! 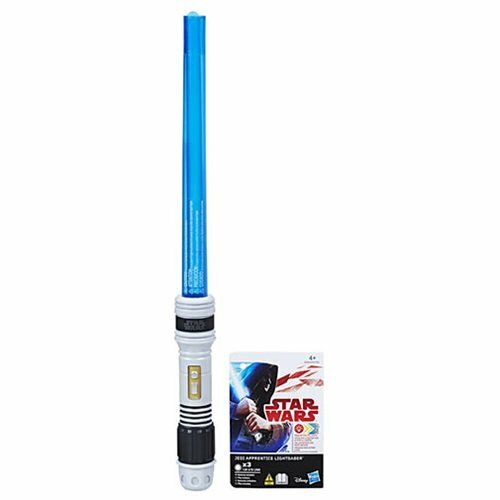 Skillfully wield the Jedi Apprentice Lightsaber and activate light effects to imagine training as an apprentice of the Jedi Order. Flick to extend blade and press button to activate lights! Ages 4 and up.